it's been several years since i've owned a rover, but i'm back at it again. 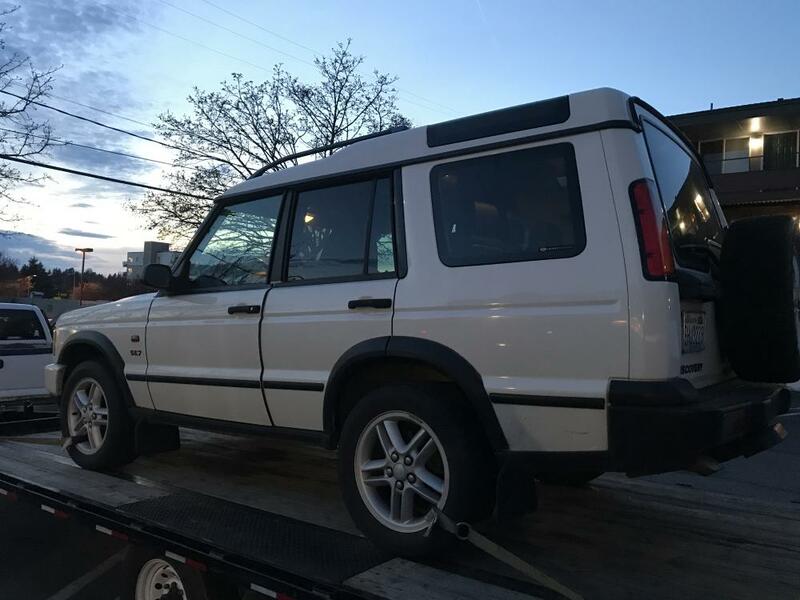 i just scored on this 2003 SE7 for under $2k, suspect blown head gasket. runs&drives, but... a $170 tow is cheaper than a cracked block when the truck was 45min away. her name was roxy, according to the previous owner. overall, it's in excellent condition. 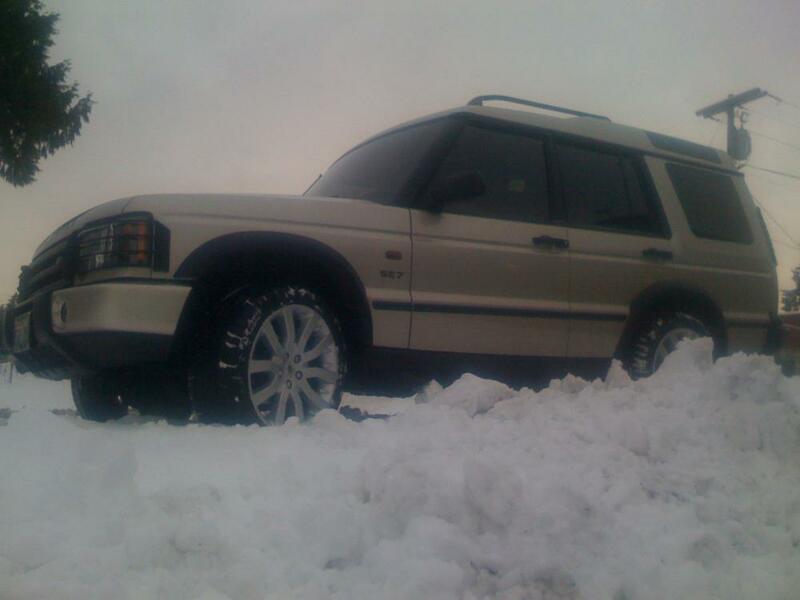 i've had four discos over the years, but i've never had (and always wanted) a white one with black interior. 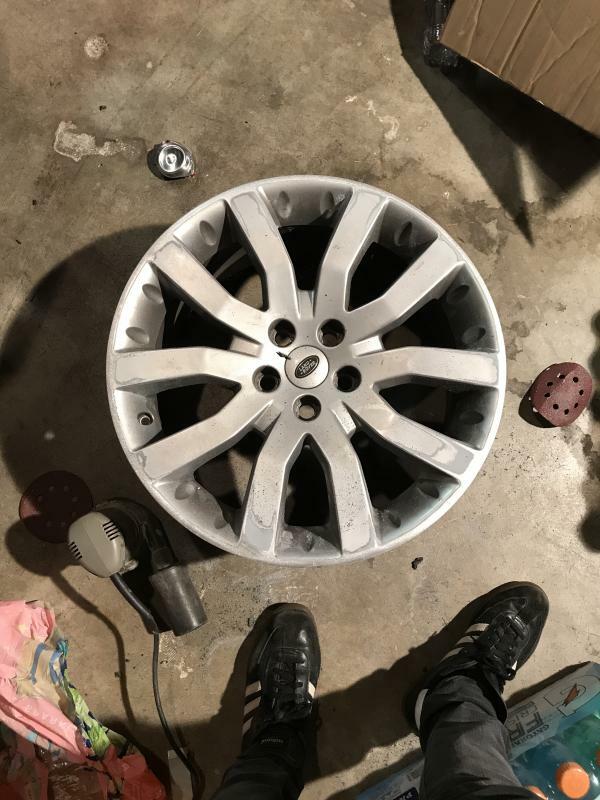 the wheels i got for only $100 but they're curbed to hell, so i'm sanding them down now to have them powder coated. unless anybody can make a good a/t recommendation for 275/45/20? it's at performance prep having the engine reworked and probably the rear end also. Great looking truck. Let us know when you determine what to do about the head gaskets. Be sure to get a third party temp gauge so you do not run it hot again. Welcome back! Nice looking truck. I’m assuming that this will be mainly a street machine? Great looking truck! My favorite color combo white and Black, but go 16" wheels with BFG KO2's 245 70 16 or 245 75 16. Keep its off road roots alive. I had those coopers on the 19" on my LR3 and they were not great on freeway. 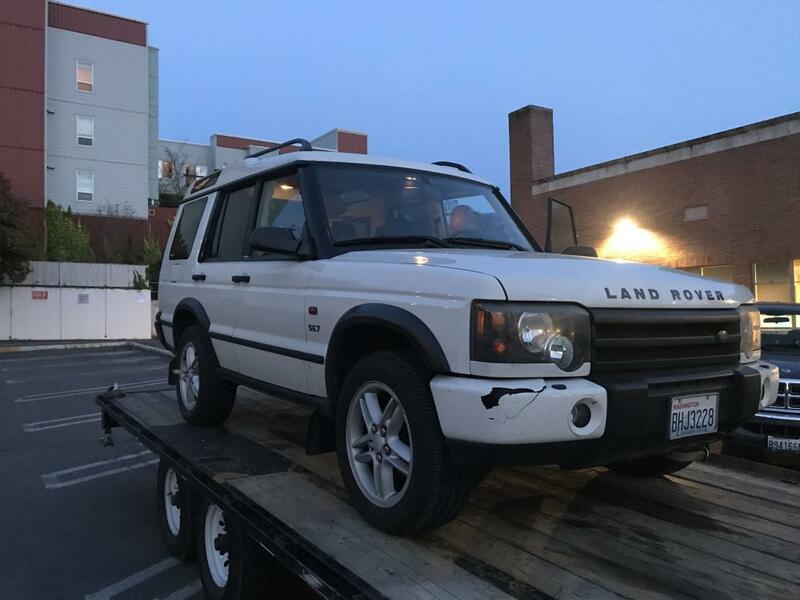 i have decided as of today to send the disco to Elite Auto in California... it's going to run 12K, but i'm getting a fully remanufactured engine, transmission, transfer case, and rear diff. i've thought about removing the fenders, and i do like the clean look... but i think that the black contrasts the white nicely. i agree, and there are some very aggressive tires available in 275/45/20. it's only 2" larger than the hurricanes anyway. 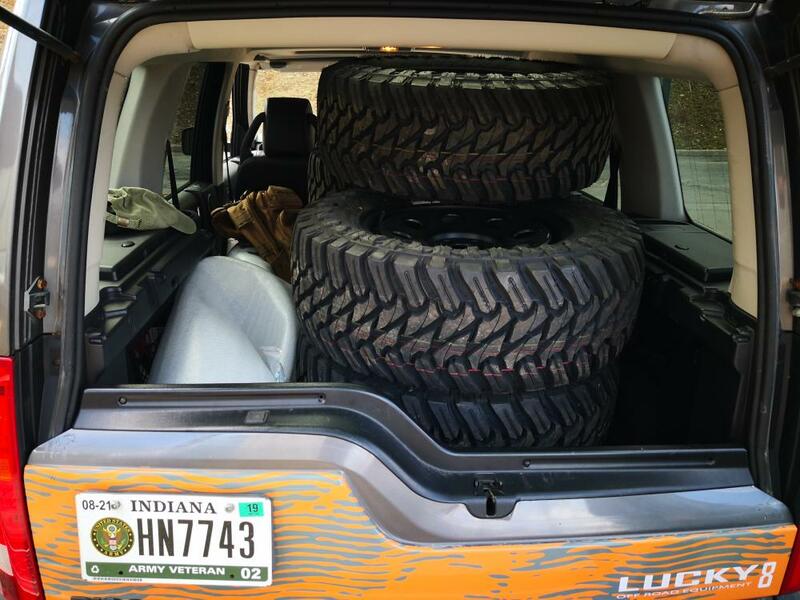 @ArmyRover, i was searching the forum for thoughts on the Atturo Trailblade tires and your post came up. what was your overall takeaway? my disco won't be a daily driver, so it seems like 5x trailblades at less than half the cost of 5x coopers is a good fit. I really liked them on my D2 obviously road noise was present but they did good on and off road. I love my Champagne (or Gold) Rover. I don't see a lot of them that colour around me - a lot of Grey & Silver. I was considering taking off my fender flares as well but I'm in the same boat as you on that, i.e. I like that the black breaks up all the gold, especially with the black bumpers, side-steps, etc. Great looking truck. Looks very straight. How's the undercarriage? Yes, the truck is very clean. It has a small ding on the left rear quarter and another small ding on the right rear corner cap. It was a city truck so the bottom is in good order. Otherwise super clean... I’ve got a new bumper cap for the front corner, and I’m clearly going to have to sand and respray the fender flares... it’s going to clean up nicely. A few odds and ends on the interior (headliner!!!) and it’ll be ready... expecting three weeks at Elite in California for the new powertrain. And I guess that I’m sold on the trail blades. Great looking tire at a great price, and I would venture to say it will spend more time in the dirt than on the freeway.